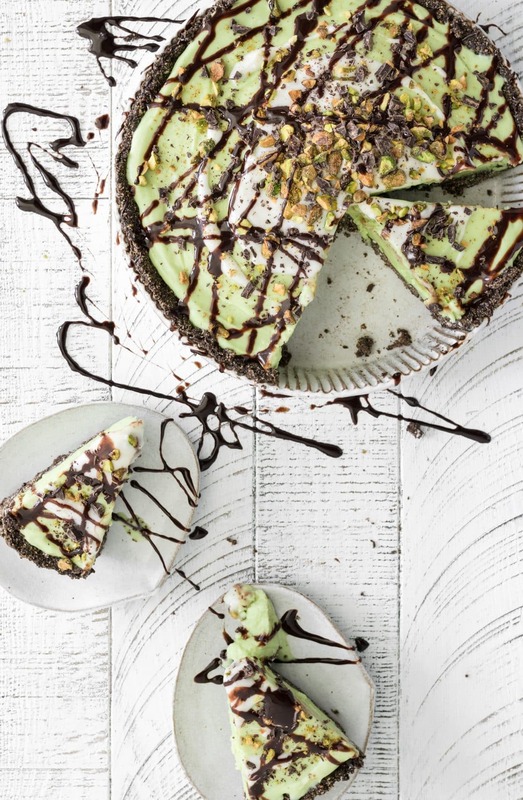 Recipe for Pistachio Ice Cream Pie with a Cacao Quinoa Granola crust. Simple but exciting version of an ice cream sandwich. Stays freshly frozen in an airtight container for up to 6 months. Ice cream in pie form is better than a melting cone. 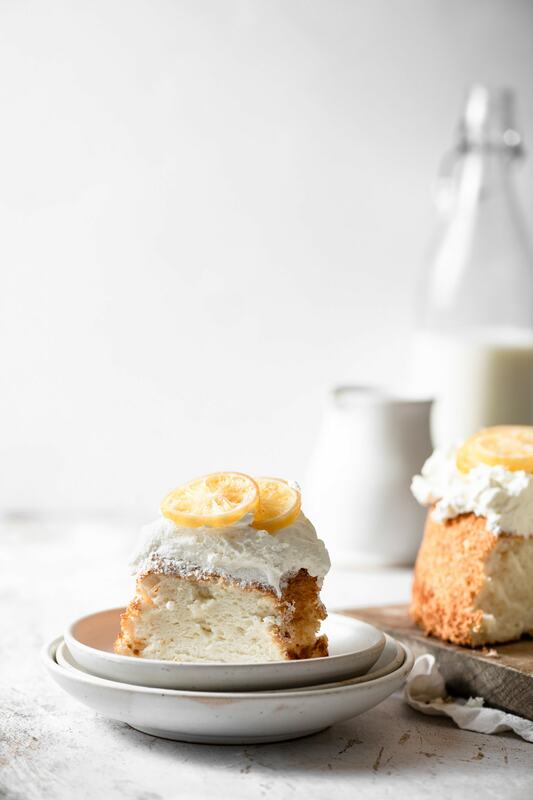 Colorful desserts will impress your friends. Layers of crunch and cold smoothness to satisfy your palate. It keeps for months in the freezer. What is Ice Cream Pie? Ice Cream Pie consists of a cookie or granola unbaked crust filled with your favorite ice cream and topped with chocolate, nuts, or cream. Once the pie is set in the freezer it can easily be cut into slices and served. No bake Ice Cream Pie is easily formed by adding butter to crushed granola or cookie crumbs. Let chill in fridge for 30 minutes to form a moldable consistency. Start by pressing crust mixture into the sides of the pie dish and then across the bottom. Making an even layer of crust by pressing with your fingers. Place pie dish with crust in fridge for an additional 30 min to set before adding ice cream layer. Ice Cream Pie will remain fresh for up to 6 months in the freezer. 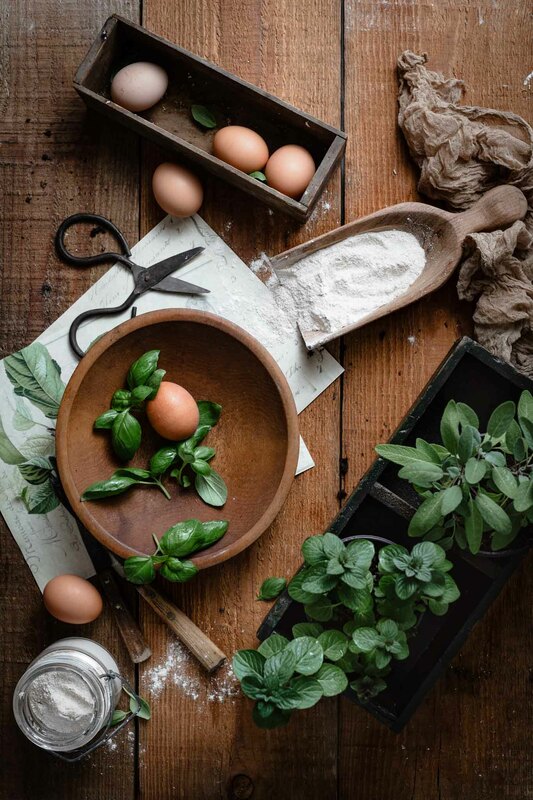 Keep pie covered in an air tight container or cover pie dish twice with plastic wrap and once with aluminum foil to keep. 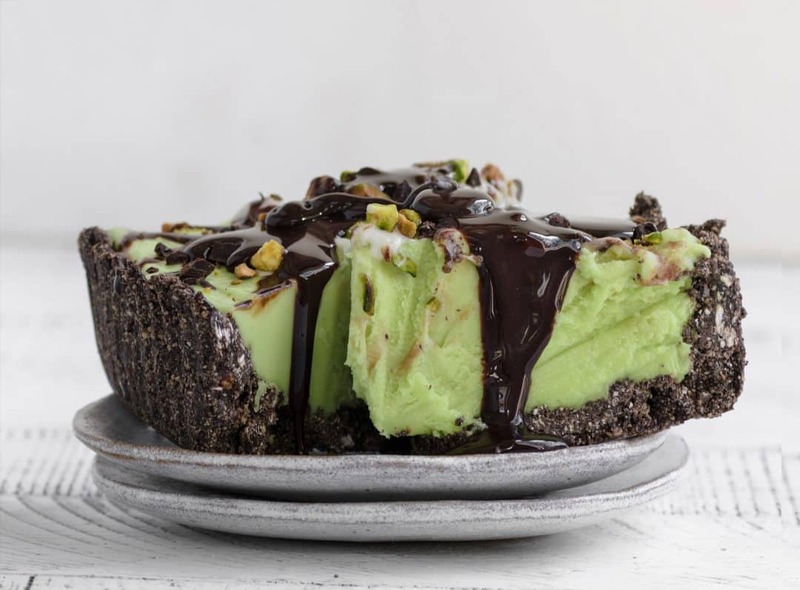 Recipe for Pistachio Ice Cream Pie with a Cacao Quinoa Granola crust. Simple but exciting version of ice cream sandwich. Stays freshly frozen in an airtight container for up to 6 months. In a medium bowl mix together oats and quinoa. Whisk together remaining ingredients in a separate bowl. Pour wet mixture into dry mixture, stirring with spatula until evenly coated. On a lined baking sheet spread granola into a thin layer. Bake at 350 F for 30-35 min or until golden brown, stirring 2-3 times to prevent burning. Once completely cooled, pulse in food processor or blender to create more of a crumb like texture. Stir together granola crumbs, cacao and melted butter in a medium bowl. Place in fridge for 30 minutes to cool. Removed chilled crust mixture and spoon half into pie plate. Using your fingers press the crumbs into the edges of dish and up the sides. Pour remaining crumbs into center of pie plate and press for an even layer. Place crust in freezer for an additional hour to set. Place in microwave for 10-12 seconds to melt slightly. I find this makes the ice cream easier to remove from the container all at once. Scoop all ice cream into stand mixer bowl add food coloring and mix at medium speed until well whipped and correct color. Spoon ice cream mixture into frozen crust and smooth with spatula. Place pie in freezer for an hour to set before adding toppings. Spoon crème fresh over center of pie. 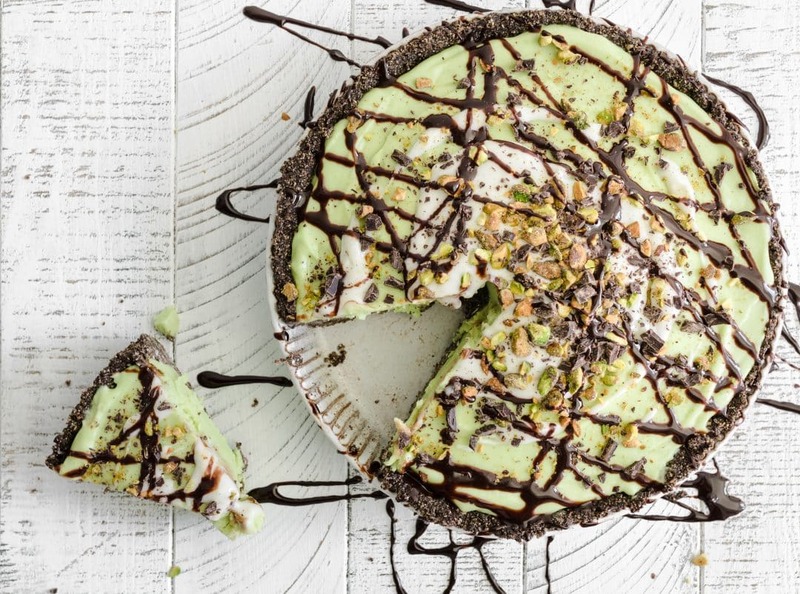 Sprinkle shaved chocolate and chopped pistachios across pie. Drizzle chocolate sauce over entire pie or individual slices. When slicing pie use a knife dipped in warm water. Can also let pie sit outside of freezer for 15 minutes to thaw before slicing. 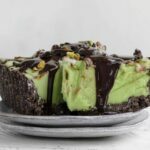 I love anything and everything pistachio and chocolate, especially when ice cream is involved! Love this pie!